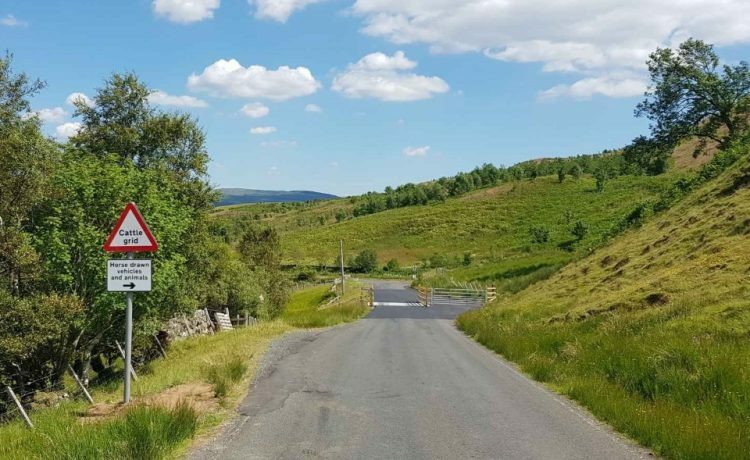 The Grimmet cattle grid on the B741 road outside Dalmellington was recently replaced by Jamieson Plant Hire Ltd following a competitive tender of £15,361.95. The grid and supporting concrete foundation were completely replaced, road locally resurfaced and fencing and signage all upgraded. The cattle grid is designed to carry modern day traffic loading and is hedgehog friendly – allowing escape away from the roadway for any unfortunate hog that falls into the pit.